TWENTY SIX. Yup, I’m 26 today. Happy birthday to me! I’m really excited for what today brings! Surprises are happening here and there, and I’m loving it. The sun is shining. The weather’s warm, and I’ve got a big smile on my face. Maui loves it too! She sends kisses to the family and to Mr. Dandy too! Today was my day to post over at the Kiki Art blog. I shared a couple of my latest cards. Hope you like them as much as I do. 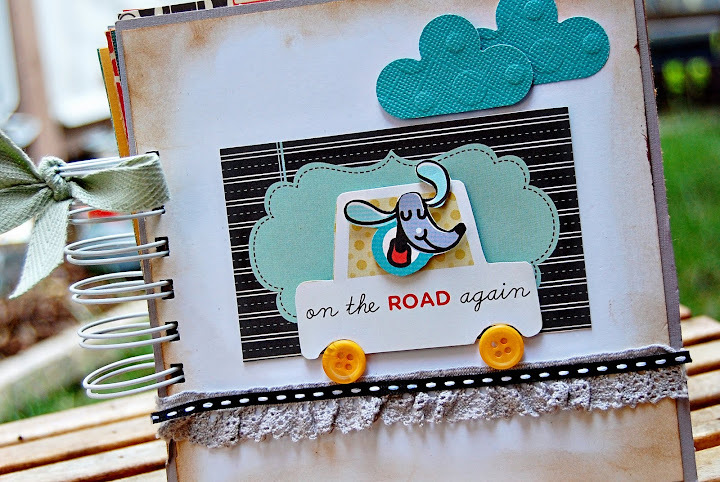 Isn’t that stamped image adorable?! It’s from a stamp that Mo sent over to me. Rubber stamps really amp it up to cute, cute, and cute! I totally love that little plastic safety pin. I found it lying around in my random embellishment stash. For details on both of these cards, click here. Again, feel free to leave me some love over there. Last but not least, I finally had a chance to cut up some My Mind’s Eye paper that my friend, Amber, sent to me for winning a challenge. I slightly altered it and created a layout about my parents. They really are perfect for each other! I have learned that leftovers are always great for cards too! That’s it for today. Now, it’s time to celebrate! Hope you will get lots of presents and surprises!!!! LOVE Julie’s surprise, it’s a perfect chosen gift!! 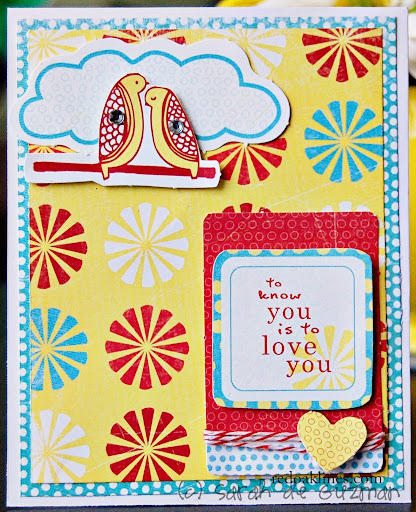 Your layouts and cards are fabulous again, you know I adore your happy colored style!! WIshing you a happy day!! ENJOY!! Love all your creations and those flowers are the best!! Happy birthday to you, Happy birthday to you, Happy birthday dear Sarah!!! I am singing now, and you are very luckt you can’t hear it, hahaha!!! have a wonderfull day today!!!! And ‘my present will be a little later so your b-day is even longer!!! ‘What a great gift from “the boss” love that smiley!!! And wow your Lo’s and cards are great as ever, love the colors and the bandages are so cool!!! Big sunny hug from Hanneke and the boys!!! happy birthday and many many more!!!!!!!!!!!!!!!!!!!! happy birthday to you…. happy birthday to you…. happy birthday dear sarah…. happy birthday to you…. yeah 26!!!! If you can imagine it… that’s me and Rainee singing to you….. wishing you the happiest of birthdays!!!!! 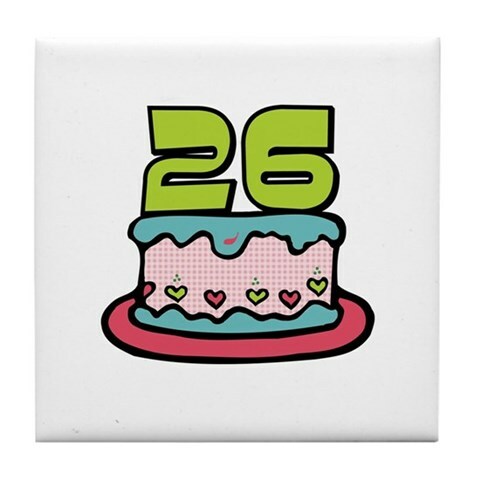 Enjoy your day… and have a wonderfully blessed 26th year!!! happy birthday to you!!!!! ps… still gonna send you a bday present… so keep watching for some happy mail!!! p.s.s. with all my happy birthday wishes… I forgot to tell you how I love everything you did… they are the bomb girl… just wonderful!! Happy Birthday Sarah! I hope it’s an absolutely amazing one! Adorable creations! 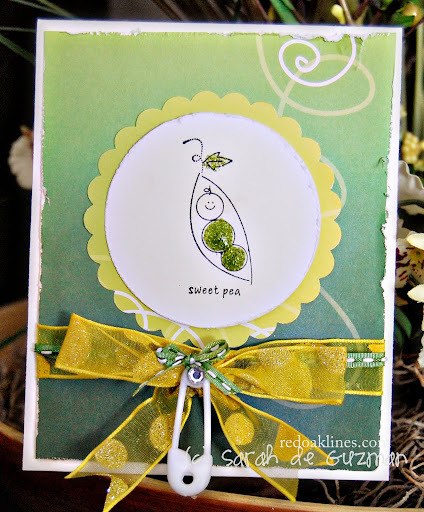 I’m loving the Sweet Pea card & your LO about your parents… SO CUTE! Happy Birthday, and great job on the MME sketch. Love the bright bold colors. Oh goodness, I need a glass of water now. Have the happiest of all birthdays, until the next one that is! thanks everyone!!! i’m off to have an adventurous and glorious day! 🙂 btw, if i could only hear all of you singing — that would make my day! hahaha. Happy Birthday sweet love!!! I’ll be thinking of you all day long!! You deserve a beautiful wonderful day!!!! May all your birthday wishes come true too! Happy Birthday to you….Happy Birthday to you…Happy Birthday dear Saraaaaaaaaahhhhhhh……Happy Birthday to you!!!! Mwah! Oh…..and we’re the same age (wink wink)! Statistics show that people who have the most birthdays live the longest…just some food for thought 🙂 I hope you have a lovely Birthday filled with fantastic things for you!! MANY HAPPY RETURNS !! hope you’re having an amazing birthday….I’m loving that bandaid card & I may just have to use that sketch myself!! I hope you have an awesome birthday!! enjoy this special day, my friend!!! HAPPY BIRTHDAY…love the pic of your furbaby sniffing your flowers, so cute! Happy birthday! I hope you have a wonderful day and wonderful rest of your week! Great projects as usual! Happy Birthday!! I hope that itis a fabulous day. I like the idea of the bandages inside the card. One day I am going to get around to implementing all the great ideas I find here! Happy Birthday! HAPPY BIRTHDAY SARAH!!! Hope your day is fantastic. happy birthday lady! i hope you have a fabulous birthday. i also love that photo of maui and the flower cup from julie. I know you have had an awesome day!!!! That smiley is perfection indeed from the Queen of Smilies!!! :):):):):) Love it! Happy birthday! I’m turning 30 next week, so enjoy 26! Happy happy birthday, friend! Those flowers from Juile are so sweet! 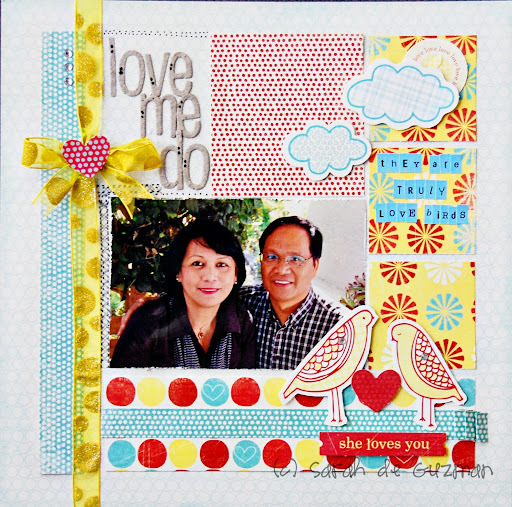 I’m just loving all your project…the bandaid card might be my fave. Have a great night celebrating! wow you are young!! 🙂 🙂 compared to me!! happy bday!! Happy birthday Sarah!! !Hope you had a wonderful one!! Those flowers are so very cute and I love that smiley face..couldn’t be more Julie right!! Loving your cards sweetie..always do! Happy Scappy birthday!!! Wishing you all the best! teehee. hope you had an awesome time celebrating!! Awe Julie is so sweet! That bouquet is just so adorable and cheerful!!! Just like YOU!!! I love your talent!!! You are such an inspiration!!!! 46 comments!! WOO-HOO! Someone’s popular!! I haven’t stopped by in a week and look, you had a b-day!! HAPPY (belated) birthday! And wow, your projects are great-love the band-aid one especially! Hope you had a great bday and a fab weekend!! HAPPY BE-LATED BIRTHDAY, SARAH!!! That bouquet is simply beautiful! Love the bright and cheery colours! I’m a bit late but hope you had a great birthday! 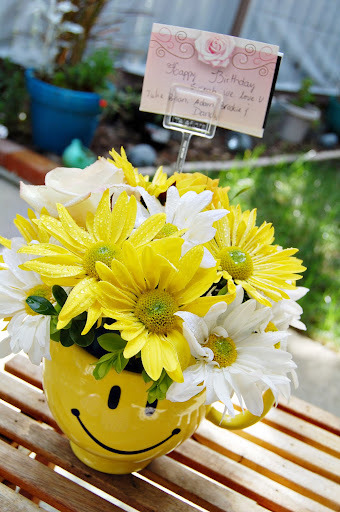 love the smiley cup with the flowers! you made a lot of beautiful cards and love the page to, great colours! Happy belated birthday! Thank you for helping my with the blog, I figured out how to use it. I hope you have an amazing weekend! Happy belated birthday, girlie! I hope it was as fabulous as you are. Your entry is fabulous! Happy belated birthday Sarah… I seriously hope you were spoilt on the day and showered with lots of love… Oh and pressies of course. Sending a big warm fuzzy from the other side of the globe. Put this in the wrong post! Hope your birthday was great, just like you!! Belated Happy Birthday Sarah! I’m sure you had a fabulous celebration! Cheers! I’m sure you had a wonderful time, enjoy all of your presents!